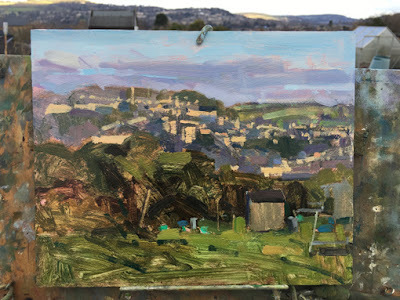 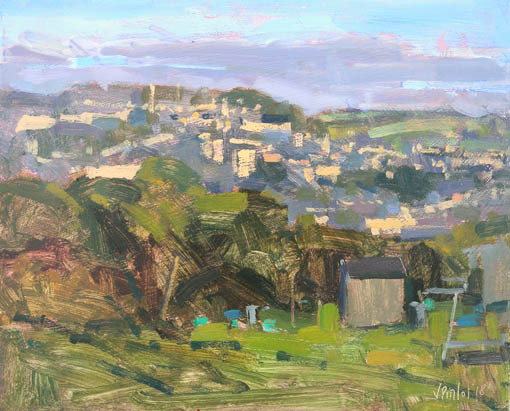 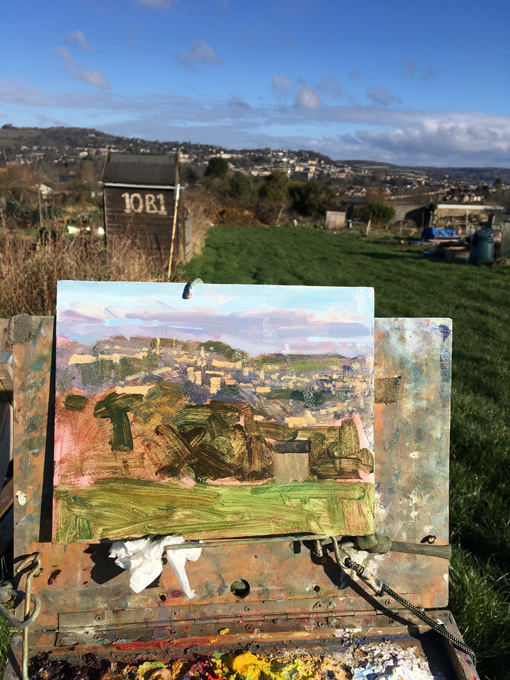 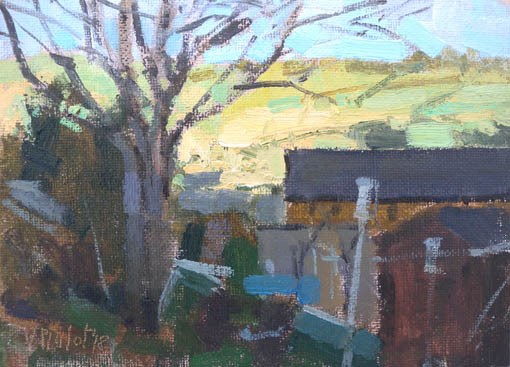 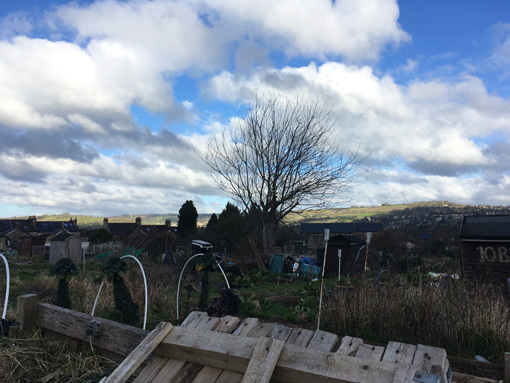 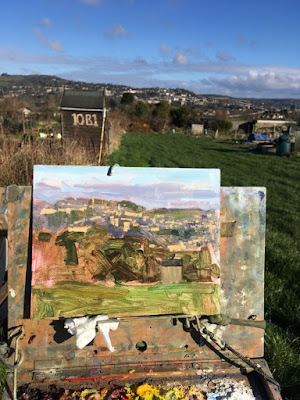 Below, first time back outdoors in months - a painting done at my favourite spot - the local allotments 5 minutes walk from my house in Bath. 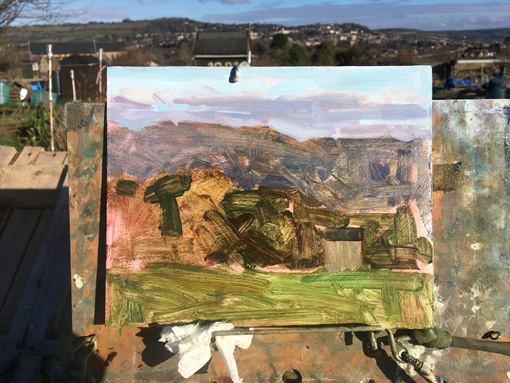 It was really cold and windy and it took me longer to get prepared and dressed in 50 layers than to actual paint the picture. 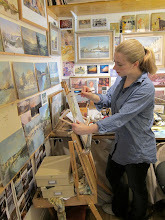 I looked like the Michelin man with all my jumpers and coats but I managed to stay warm and enjoyed every brushstroke! 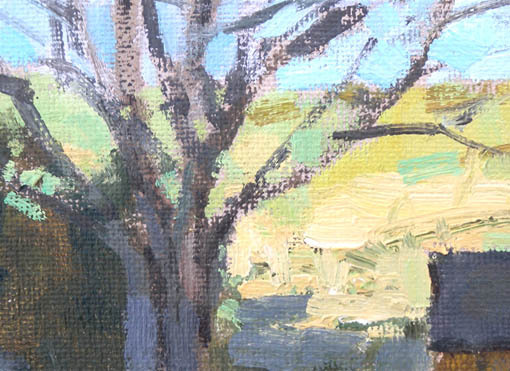 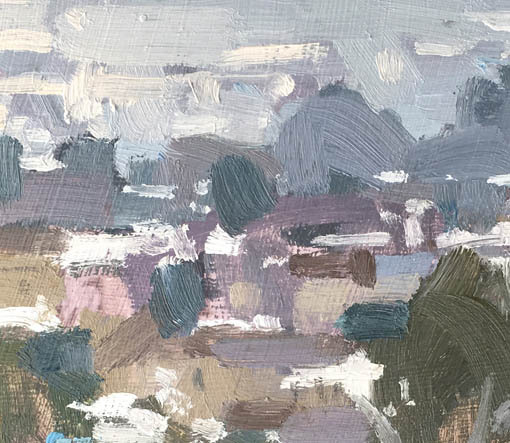 I managed to squeeze an other little 5"x7" oil sketch before I had to head home. 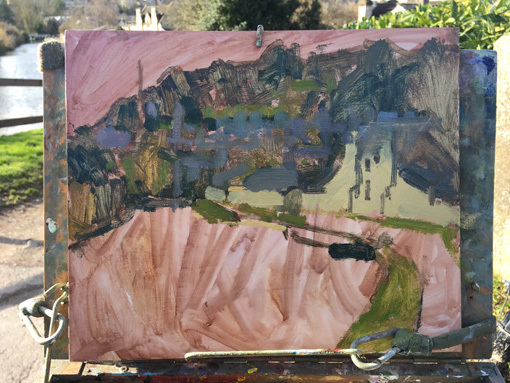 What caught my eye was the beautiful sunlit view of the hills contrasting with the dark foreground. 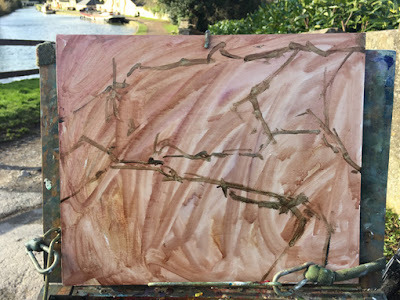 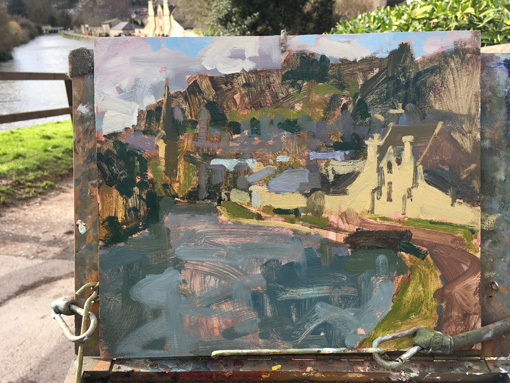 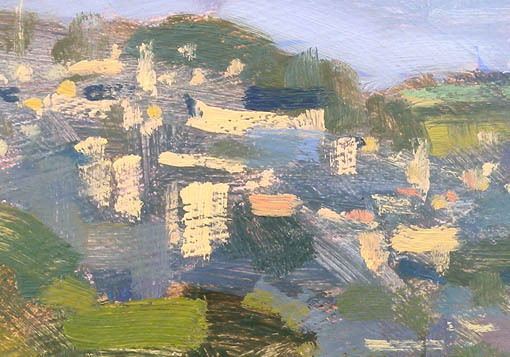 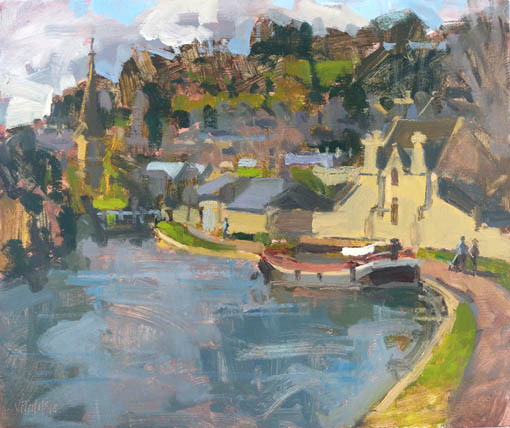 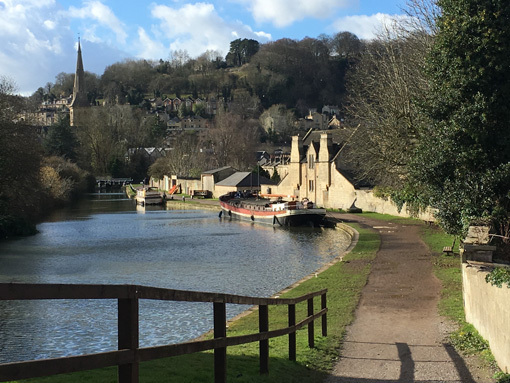 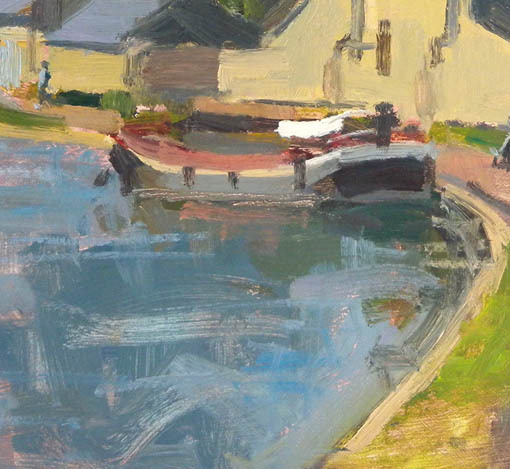 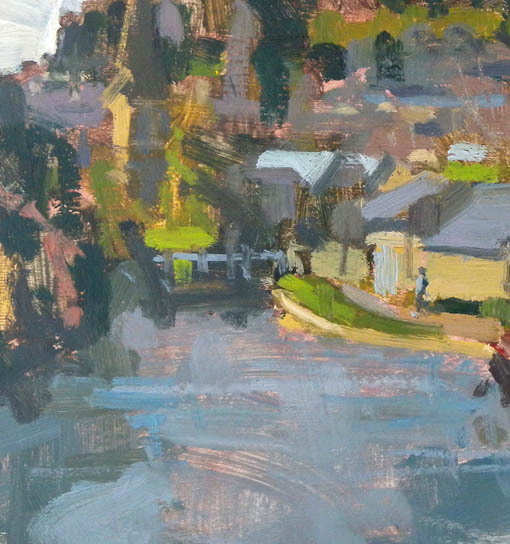 A couple of weeks later I headed to Widcombe in Bath to paint the lovely view by the canal. 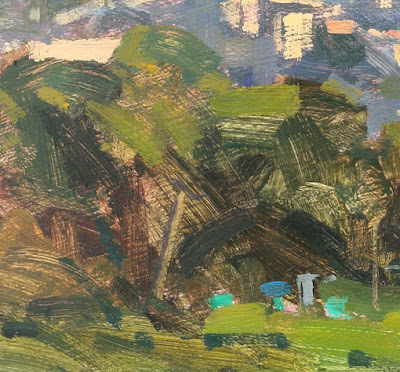 This scene would normally be almost 'too pretty' for my taste so I made a point of painting it with fresh spontaneous brushstrokes to keep it interesting. It was once again very cold and windy so it probably helped me working quickly before I froze on the spot! 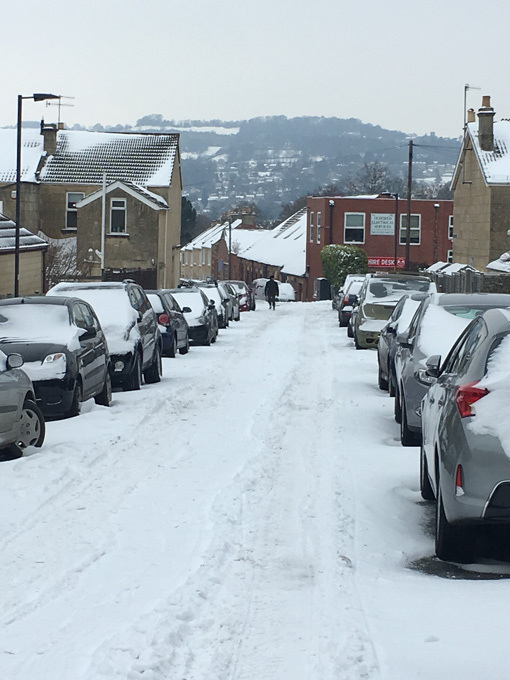 A few weeks after, the snow finally came to Bath - first time in years. 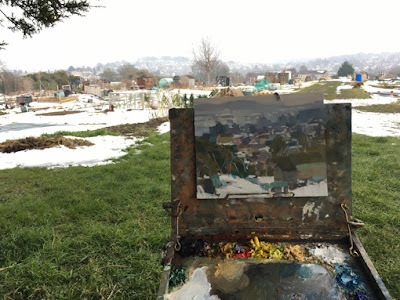 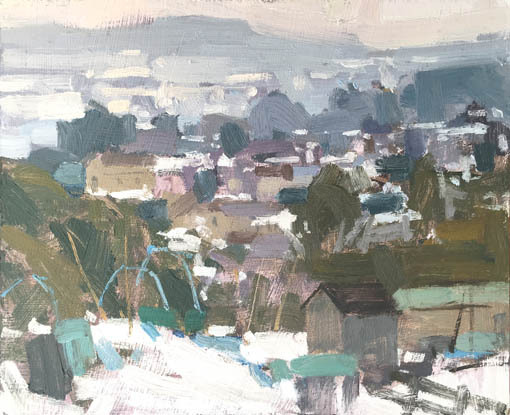 I managed to escape the house for a couple of hours to paint the snow at my local allotments. 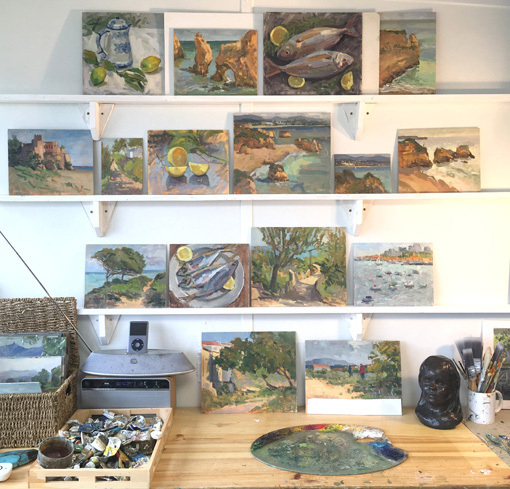 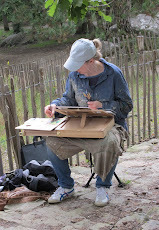 I will be busy in the next few days finishing a commission and photographing my Portugal paintings. Here is a little preview for you until I get around to post them all here... watch this space!